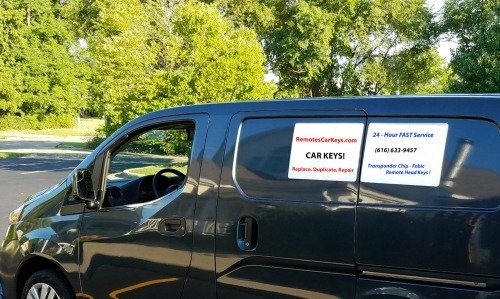 Local Locksmith - 7 Days a Week! Call today for quick and efficient service! Replace your lost car keys Grand Rapids MI. We are open 7 days a week. If required to come to you, we are fully mobile equipped. Missing car keys can be worrisome. Not sure who has them and whether they can steal your car? That depends on the year, make and model of your vehicle. If you call our office, we will answer your questions and simplify the process of car key replacement. Hours: Monday-Friday 8a-8p, Sat 10a-6p and Sun 11a-5p. Our friendly staff will quickly quote the rate and availability of your key. Known for fast service, usually within an hour or two we can have you up and running again. As long a we have your key in stock and can verify ownership of our vehicle, the process is quite easy.